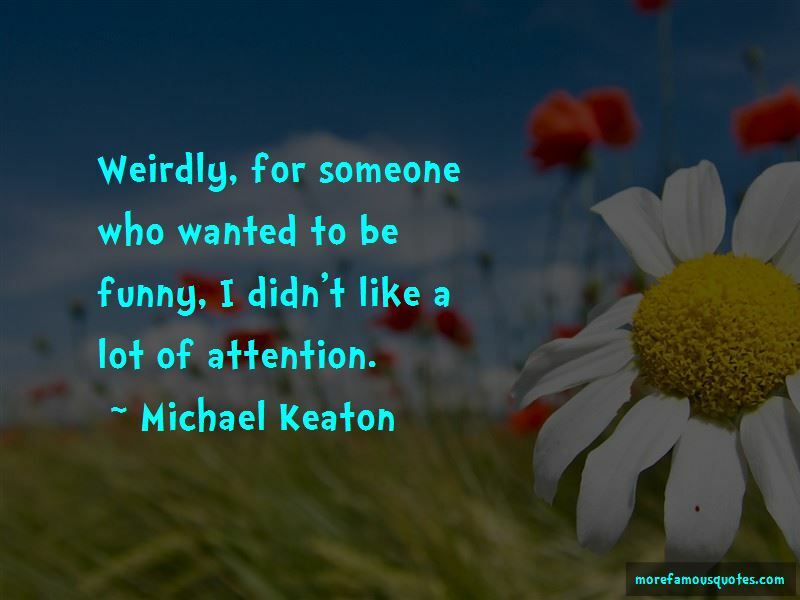 Enjoy the top 121 famous quotes, sayings and quotations by Michael Keaton. I've changed my diet a few times. Now I'm trying to eat more protein. I eat little meals throughout the day. I love food, so I still give myself great meals. Also, when I'm busy, it's easy to lose weight. Anyone can be a celebrity now; this is not a big deal anymore. Weirdly, for someone who wanted to be funny, I didn't like a lot of attention. 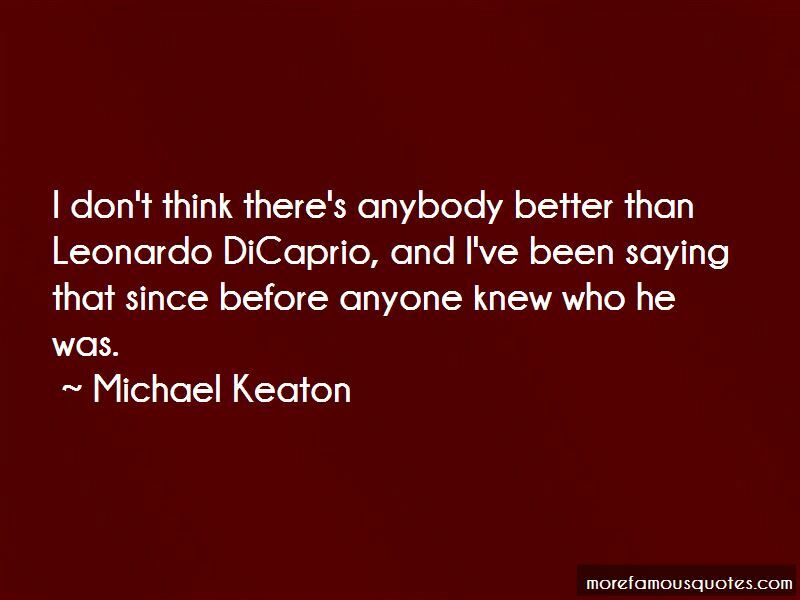 Actors don't get to be well-known if they're horrible. Historically, I'm not a great patient when it comes to slowing down. I have a lot of energy, and I move around a lot in my club act. I really believed that Batman had the potential to be one of the coolest guys in cinema. I don't know - sometimes I catch myself being dark, and it's annoying. I think, 'Get over it.' I bore myself. But sometimes, like everybody, I'm sure I am obsessive. 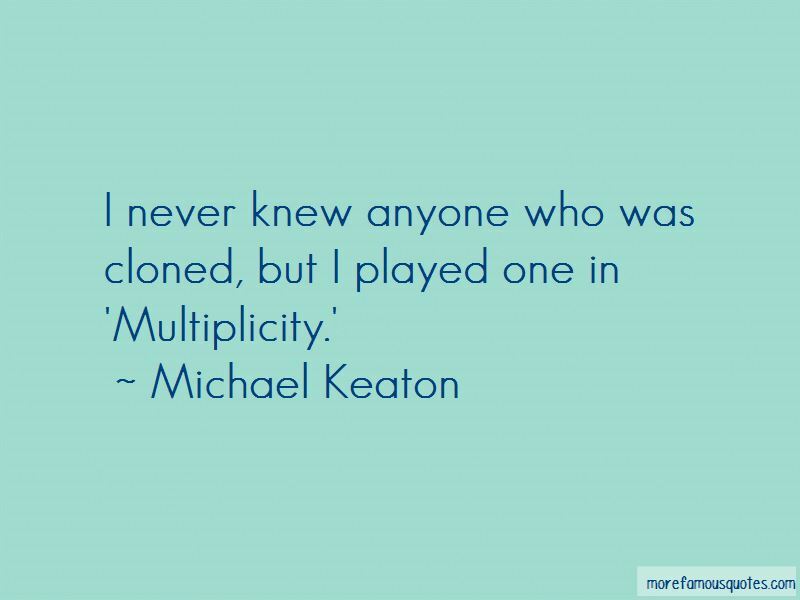 Want to see more pictures of Michael Keaton quotes? 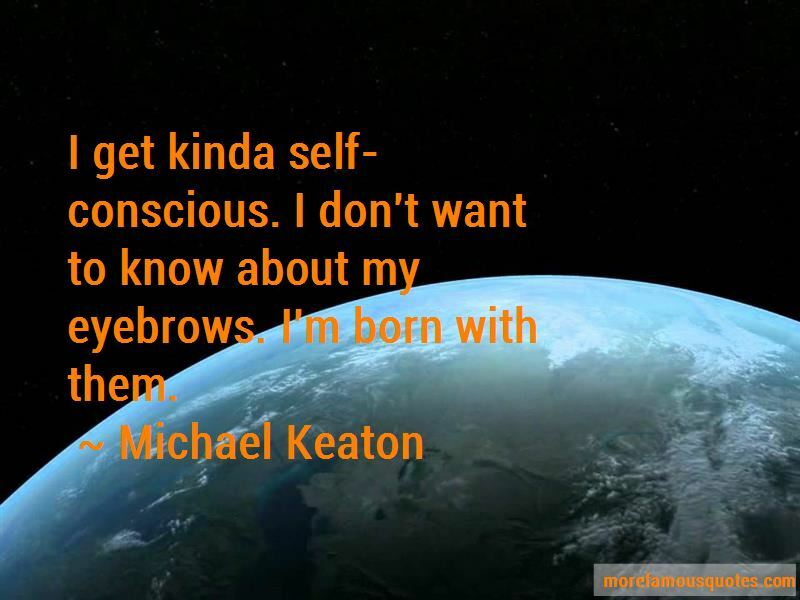 Click on image of Michael Keaton quotes to view full size.